If you were arrested for drinking and driving, you need an experienced New Jersey lawyer who can protect your rights. At the Jersey City law office of Krivitzky, Springer & Feldman, we understand the anxiety that comes with being arrested for drunk driving. We are here to fight for your future. Our law firm routinely handles municipal court matters, including DUI/DWI offenses, in Jersey City, Bayonne, North Bergen, West New York and other parts of Hudson, Essex, and Bergen County. Arrested for Drunk Driving? We Can Help. Having served the legal needs of clients in Jersey City and surrounding areas for more than 40 years, our law firm has established the trust and reputation that many people rely upon when dealing with difficult legal issues, such as a DUI arrest. We provide aggressive and diligent criminal defense representation to clients who are confronted with charges for driving under the influence (also commonly referred to as driving while impaired or driving while intoxicated — DWI). Additionally, DUI penalties increase for repeat offenses, or for offenses involving high BAC (BAC above .10 percent). We use our knowledge, experience, and resources to protect your rights and minimize the consequences of a DUI/DWI arrest. The Breathalyzer has been replaced with the Alcotest 7110 as New Jersey’s approved breath test method. While there was significant controversy, and even delay in proceeding with many DWI convictions throughout New Jersey, the Supreme Court has ruled that results obtained from the Alcotest are admissible as evidence in a DWI/DUI case, as long as proper procedures were followed. When challenging breath test results, or the DUI/DWI charge itself, it is important to hire a New Jersey drunk driving defense attorney who understands the requirements and who can mount an aggressive defense on your behalf. 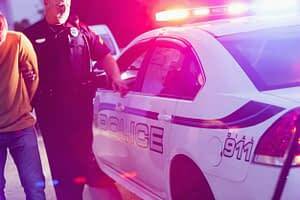 Protect your rights after a drunk driving arrest. Call our Jersey City DUI/DWI attorneys at Krivitzky, Springer & Feldman at 201-798-2711201-798-2711 for a free consultation. You may also contact us by e-mail to ask a question or to schedule a free consultation. Free consultations and evening or weekend appointments can be arranged throughout Northern New Jersey. We can also meet you at the courthouse, if necessary. Give us a call; we’re here for you.